How many of you know how powerful this seed is? This seed is called CALABASH NUTMEG OR AFRICAN NUTMEG, it is an ultimate solution to weight loss, the fastest result so far. 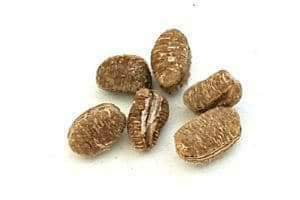 I used this seed once, chewed only one (please make sure not to chew more than one seed) and by next day my tummy had drastically reduce, although I visited the rest room about 10 times, but it was a great relief for me. In case you live overseas and wondering where to get African calabash nutmeg, you can click on the Amazon ad above. It’s in powdered form, you can take a teaspoon of it and swallow with fresh water. You can get it in your local market , or find it among the spice rack in superstores. This seed must be roasted before chewing (do not allow it to get burnt). When you roast it, the shell will fall off, giving you the picture below. “Also called Jamaican Nutmeg or African Nutmeg. It is popular in West African cuisine. Can be used Whole or ground in soups, stews, and desserts. African nutmeg has many health benefits such as controlling blood pressure, treating kidney infections, helps to relieve headaches, helps with insomnia, and can also be used as an insect repellent. African nutmeg is rich in potassium, calcium, iron, vitamin-c, folic acid, and many other anti oxidants. 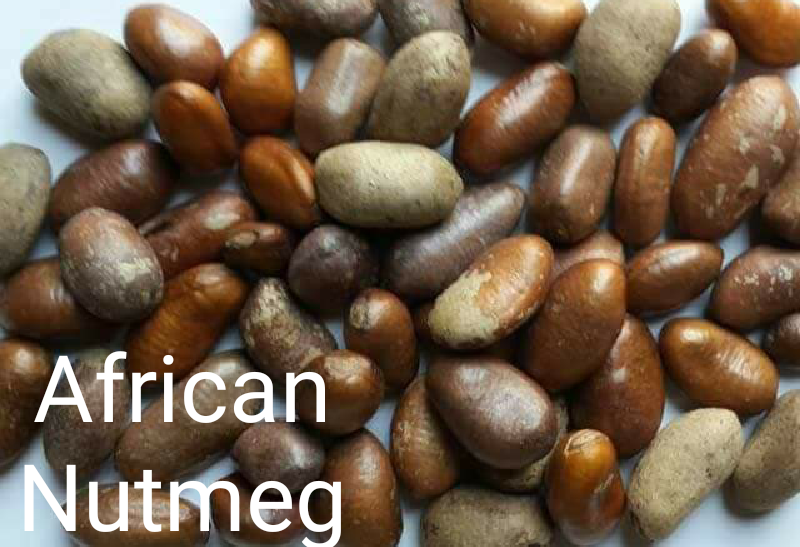 The origin of the African Nutmeg can be traced to many African countries such as Nigeria, Ghana, Kenya, Cameroon, and Liberia. It was later moved into the Caribbean by way of the slave trade in the 18th century. Thank you so much dear, am grateful. If some one desires expert view on the topic of blogging and site-building then i propose him/her to visit this blog, Keep up the fastidious work. This is something new to me – African nutmeg. Very interesting and a good article. Thanks for posting. Can a breastfeeding mother take it? Yes it has to be roasted before consumed. Your post us commendable, keep it up. Pls can someone be taking it every day?